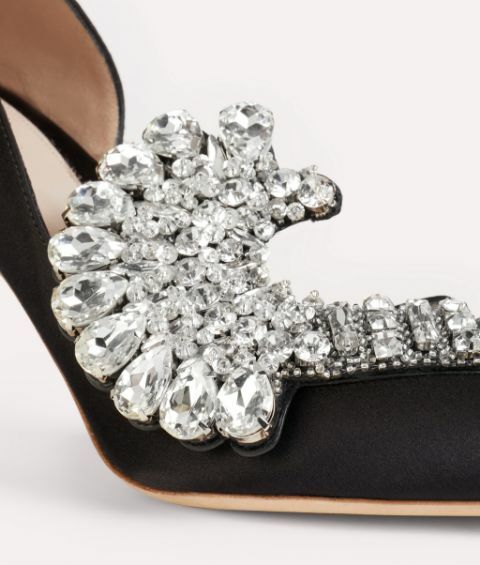 Paula Cademartori's iconic Iris pump is re-energised with precious crystal embellishments inspired by the Opulence family. 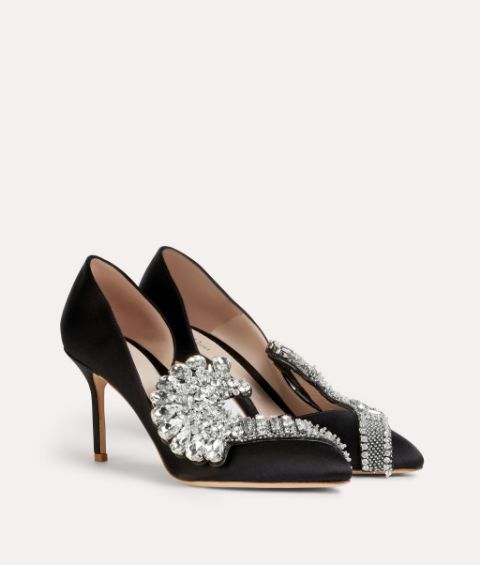 Sculpted from calf leather and silk, it pays tribute to a woman's sensuality and playful spirit with its glamorous jewel appliqués and stiletto heel. 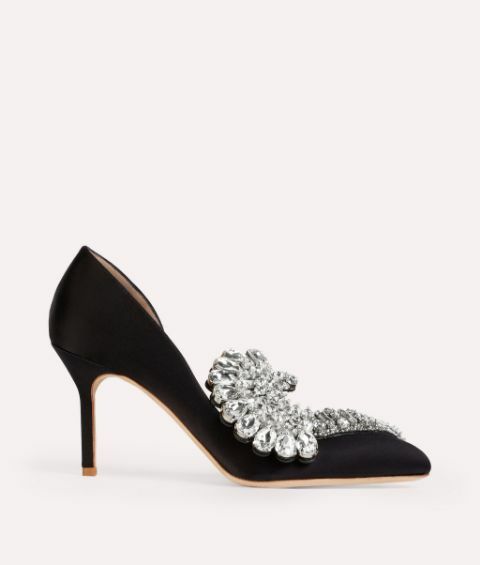 A timeless classic, this feminine shoe is a staple no wardrobe should be without.